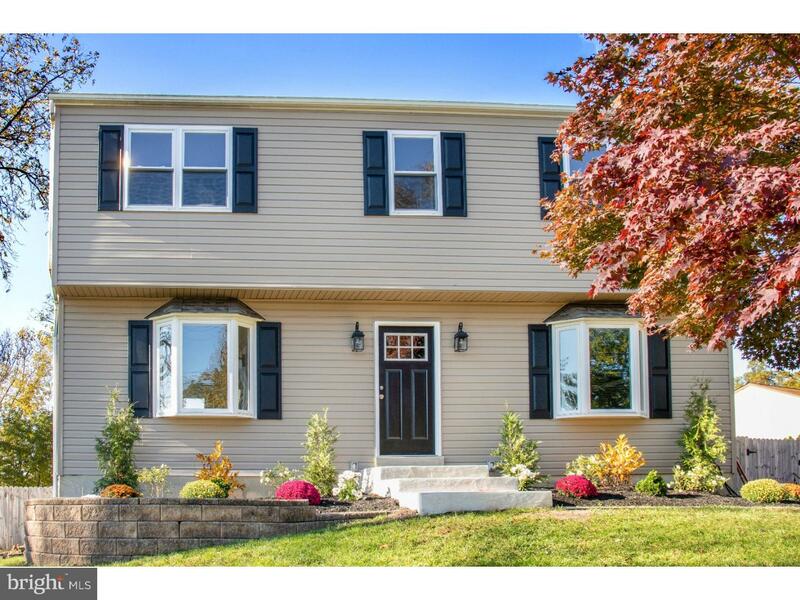 Welcome home to this beautifully renovated Colonial in Springfield School District! Entering the freshly paved, double wide driveway, you are greeted by new siding, new windows and fresh landscaping. Warm, inviting tones throughout, with new flooring and an easy flow make the first floor an entertainer's dream. The formal dining room is large enough for a grand table ? perfect to host those upcoming holiday gatherings! The kitchen was gorgeously renovated, with those to die for white cabinets, stainless steel appliances, a dazzling backsplash and smooth, cool quartz countertops. A spacious family room off of the kitchen boasts a cozy fireplace with a granite hearth. The laundry and mudroom are conveniently located on the first floor, complete with a powder room. There is also a brand new deck and cute yard! Upstairs hosts the master suite, complete with a walk-in closet, and spa like bathroom with double sinks offering plenty of space for those busy mornings. Three additional large bedrooms and a main hall bath round out the upstairs. A fully finished basement is ready for extra living space, playroom, man cave, crafting area ? whatever your heart desires for YOUR new home! New heater, A/C and hot water heater are just a few of the many upgrades to this breathtaking home. Don't miss your chance to own another Starrfish Designs latest renovations!